While officially just playing songs, Politics make a diverse collection of pop music that can go any which way. They break through the calibrated grid with their own sound, unexpected twists and turns, surprising lyrics and fine harmonies. 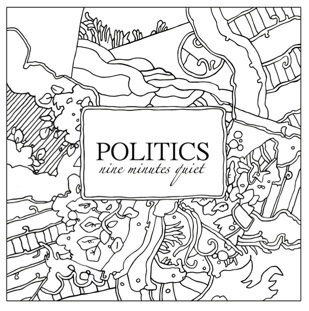 In Fall 2013, Politics will release their third full-length Nine Minutes Quiet. Dubbed “pure Politics”, this record captures them closest to their true sound. Nine Minutes Quiet was produced by Paul Fitzpatrick and will be a vinyl only release, limited to 200 copies on red vinyl, and available at the show. The record comes with a free download and features original artwork by Alex Iftimie. Politics’ 2007 debut Hands Off My Riot was released to raving reviews. It got them a Local Hero gig at Paradiso, a spot as ‘Ondertopper’ in Oor, a nod as “one of the most exciting bands in the Benelux,” and the distinction “best kept secret of Rotterdam” from 3voor12. 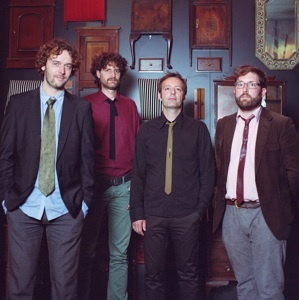 Love & Molasses, Politics’ second full-length, was released in October 2010. While remaining songsmiths at heart, this album saw Politics explore an edgier, more experimental side of pop, adding more crunch to their sparkle. 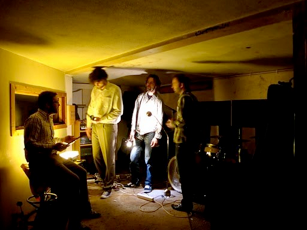 Both records were recorded with producer Remko Schouten at the helm (Pavement, Caesar, Coparck, Mono). The records are distributed in Europe by Sonic Rendezvous and are available at record stores and online. They are also available for download from iTunes. Politics have played about a hundred shows and shared the stage with bands like Moss, Balthazar, Alamo Race Track, Bettie Serveert, Face Tomorrow en The Madd. “Single Thing” off of “Hands Off My Riot” live @ Wereld van Witte de With, Rotterdam, September 9 2011. It’s there! “nine Minutes Quiet” will see the light of day at Grounds in Rotterdam, on November 16 2013. Video for “Always Something” off of “Love & Molasses”.